Grace is the quiet girl in the class. And Gus is the class guinea pig. 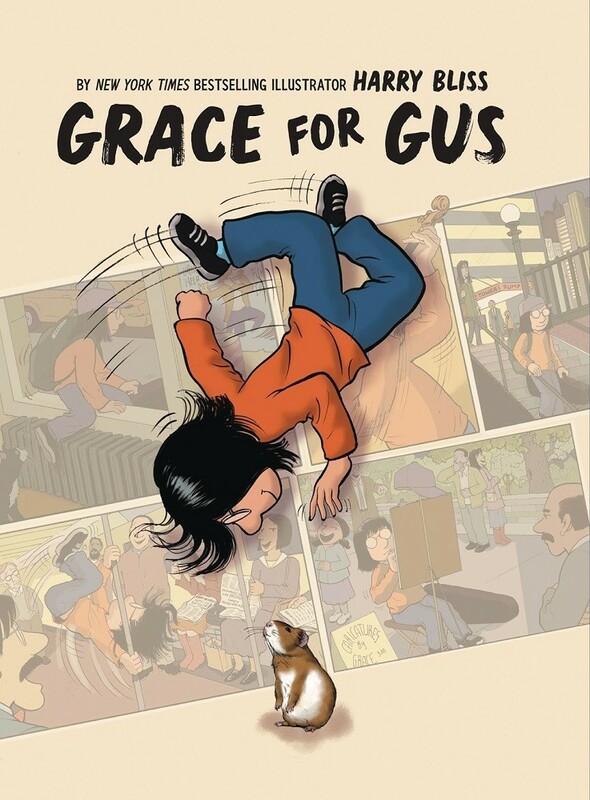 When Grace's teacher reminds kids to contribute to Gus' "buddy fund," Grace decides she's going to use all of her talents to help get Gus a friend! So after she eats dinner with her two dads, she kisses them goodnight... and sneaks out to make some money as a multitalented busker. She plays the violin, she draws caricatures, and she performs an elaborate "showtime" routine for passing commuters. Wherever she goes, Grace amazes and delights as she shares her many talents, showing how one person with a little pizzazz can make a difference. This nearly wordless, graphic picture book celebrates a good-hearted, entrepreneurial Mighty Girl and the vibrancy of New York City. 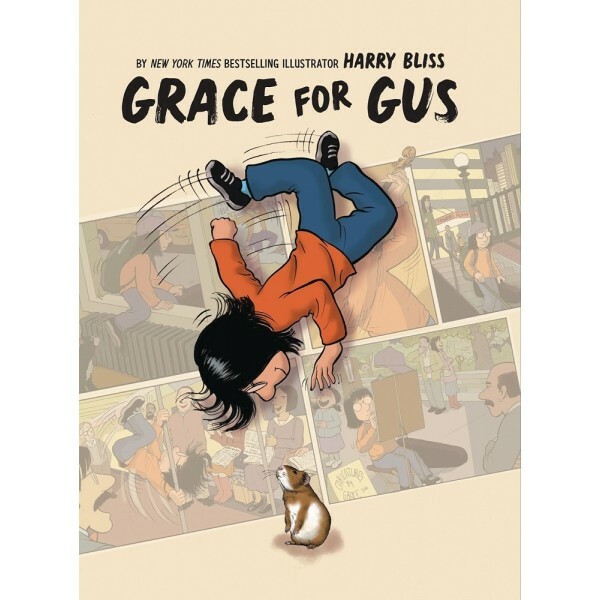 Kids will love Grace's determination to help her animal friend, and giggle at the sight gags that author / illustrator Harry Bliss sprinkles throughout the pages, while parents will love the Easter eggs Bliss draws, including references to authors, comedians, and cartoon characters.